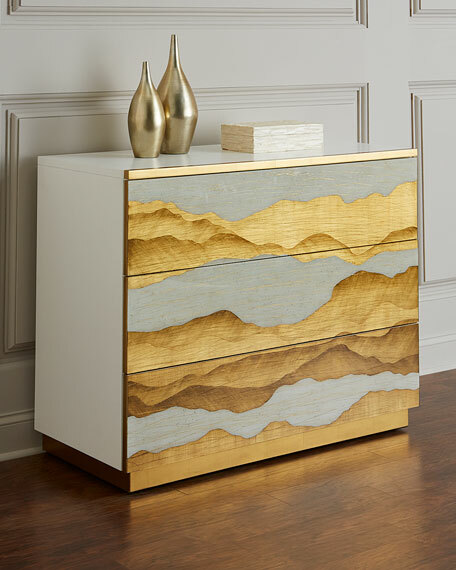 A clean, modern chest with a beluga case and three reverse-painted glass drawer fronts in a continuous golden dunes design. The drawers are mounted on push-latch runners. The inset plinth, the top's front edge, and drawer edges are in Etruscan gold. 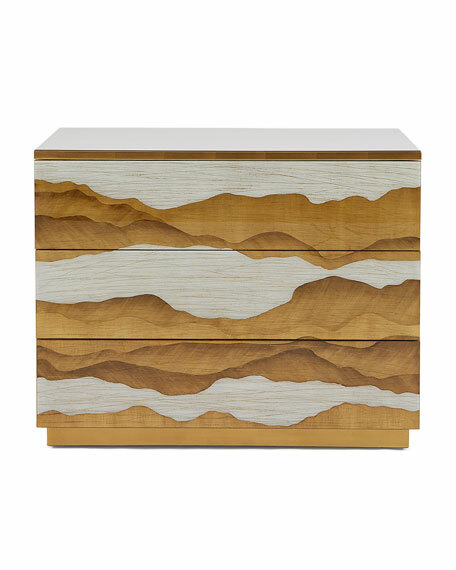 Handcrafted chest with brass leaf detail. Overall, 46"W x 21"D x 36"T.
Beech, wood composite, and glass.